The brothers spilled the beans on their new “secret” bar. Read the full interview below. FARMINGDALE, NY – Drinking alcohol may be legal now, but a new speakeasy in Farmingdale takes customers back to a time before it was. Brothers Nick and John DeVito recently opened up Charlotte’s Speakeasy in the basement of Charlotte’s Frozen Yogurt at 294 Main St. The two purchased the store in 2013, but just this year decided to restore and open the old speakeasy which operated in the basement of the building. “We wanted to restore what we found to what it was all those years ago and share it with everyone who was interested,” the brothers said. In order to get in, patrons had to say the secret password posted on the bar’s website to the bouncer. Patch: Is this your first business venture? What other projects have you worked on? DeVito Brothers: We are in the printing business which we operate from the back of our building in Farmingdale. We opened Charlotte’s Desserts four years ago in the same location. P: How long have you lived or done business here? DB: We were both born in Massapequa, grew up in Syosset and now live in Syosset and Rockville Centre. 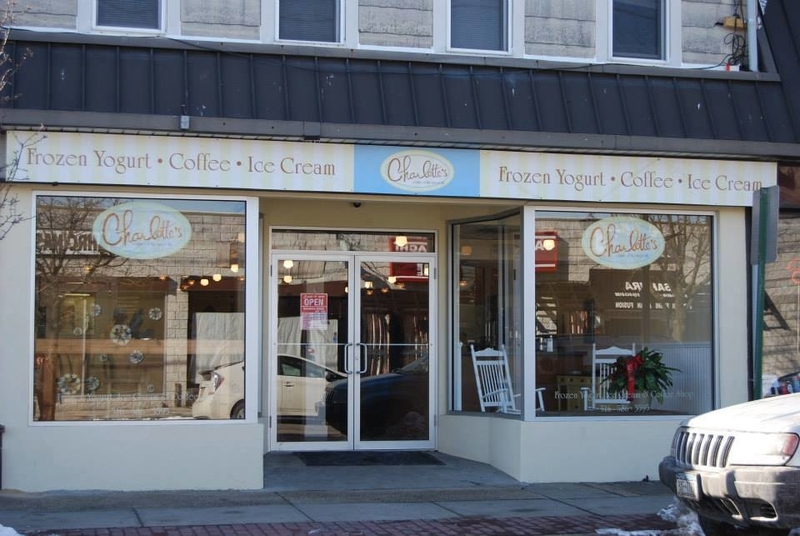 P: What’s your favorite part about opening a business in Farmingdale? What makes Farmingdale special? DB: The families in Farmingdale are the best. We get everyone from toddlers to grandparents here and we love them all. P: What makes your speakeasy different from others? DB: We have history. This is an authentic speakeasy from the prohibition era. 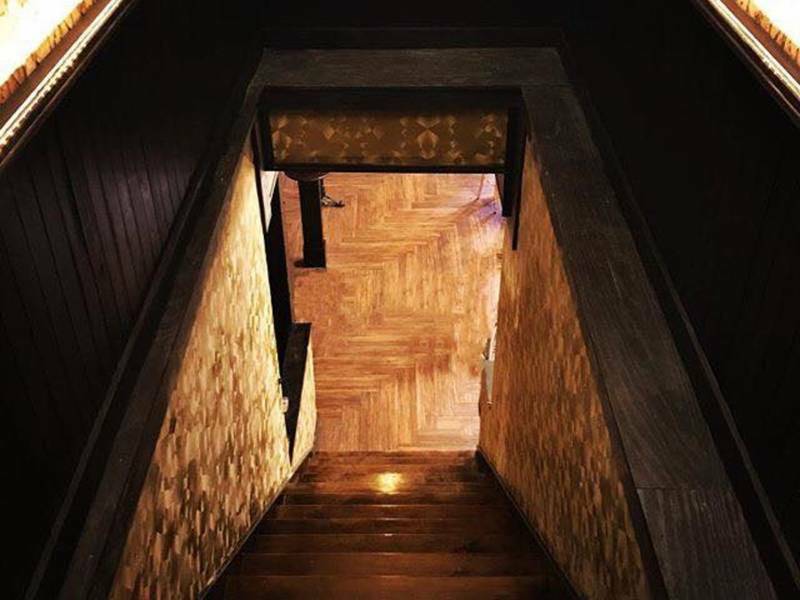 Unlike other speakeasies, when you are in our space you are standing where people stood over 80 years ago hiding from the police. Many of the old features are still here, tin ceilings, tin wall covering, 10 to 12 foot ceilings and the original arched entrance leading to our outdoor patio. We also still have the escape route intact where they would exit the building in case the cops showed up. P: What do you want people to know about your business? DB: It is a cool relaxed space with beautiful furnishings and a great jazz band playing every night we are open. P: How was the grand opening weekend? Did you expect to have as many people attend the grand opening as you did? DB: We had many more people than we expected and it was fantastic. We were so happy that the people who have been waiting were able to enjoy it. P: Tell us something about yourself that people may not know. DB: I (Nick) am a bit of a history buff and happy to share the history of this building and the prohibition era with all our guests. We even give tours to the Girl Scouts, Boy Scouts and middle school classes, they just have to buy an ice cream! CHECK OUT THE FULL ARTICLE FROM THE PATCH RIGHT HERE!